Many people are mad about food - even if they sometimes aren't very picky with what constitutes their diet. Some seem to regard the kitchen as merely the location of the fridge as well as some kind of stowage space for various bizarre utensils. Still others have a lot of respect for fresh produce and celebrate the cooking of sophisticated hors d'oeuvres, soups, main courses and desserts in their own Most Holy Place. 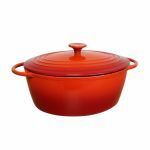 They bake delicious cakes and pies and make preserves such as pickled vegetables or sweet jams. The normality lies, as is usually the case, somewhere in between. The kitchen serves many contemporaries as a place to make hot drinks, fix up a snack and once in a while engage in extensive cooking orgies for special occasions when guests are expected. 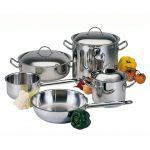 Thus, the equipment and furnishings of the cooking laboratory play a major role in all culinary endeavours. 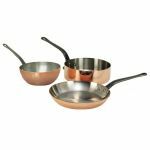 The most popular manufacturers of cookware, cooking utensils and knives of all shapes and sizes bank on verstaility. 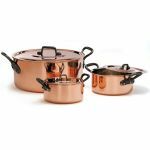 There are enormously wide ranges of various products designed to bring joy to professionals and amateur cooks alike. 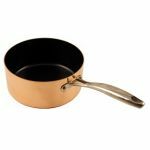 What every cook considers necessary, depends for the most part on cooking preferences and their views on the preparation of meals, snacks and nibbles. 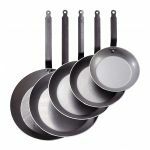 There is one thing, however, in which every foodie and gourmet are in agreement: the knives must be extremely good, preferably very high-quality and long-lasting. They have to be made out of first-class materials and fit snugly in the hand. 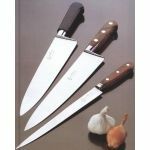 The French top producer Au Nain from the Auvergnese city of Thiers offers such knives, for example the one that Wolfram Siebeck once described thus in Die Zeit, a German newspaper: "My long kitchen knife is practically a machete, as heavy and efficient as an axe. It was made by the French company Au Nain, because in France poultry is sold with its neck, head and feet that have to be hacked off at home. 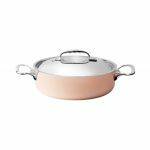 Aside from that, the gleaming stainless steel blade is capable of cutting a lobster carapace without it cracking all over." The writer of many an amusing and entertaining cooking column and a well-selling author is an advocate for the magnet strip on which to hang one's range of knives. Other kitchen wizards prefer the robust knife block. A good sharpening steel also wouldn't go amiss. 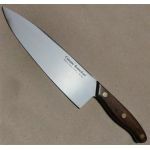 Alongside huge knives such as the "Abbatre" with a blade of 30cm and a water-repellent handle, highly praised by Siebeck, there are other long, narrow- and wide-bladed knives for deboning, chopping and dicing. 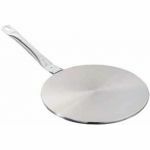 Small peeling knives are also inseparable from the kitchen - as well as the small sharp knife that helps to open bottles of wine, vinegar or oil. 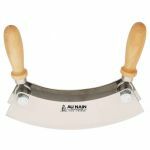 Aside from those already mentioned, Au Nain offers a traditional mincing knife with two beechwood handles that makes chopping herbs, nuts and hard vegetables an effortless task. The version for pros features three handles. 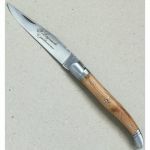 A special tool with a palisander handle, the oyster knife "Lancette" can also serve as a classy gift. With it, you will be able to easily sever the muscle from the shell without the latter breaking. The extremely noble and fancy-looking farmer's knife with a balde length of 21cm is an allrounder that lasts a lifetime. How many knives are needed in a profesional kitchen? 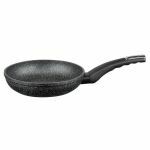 Professional cooks often have a strong affinity for valuable and exceptional knives. A great number of them collect particular specimens and own dozens of knives from all corners of the world. Japan especially is known for its excellent kitchen knives that guarantee supreme results when chopping ingredients for sushi, etc. However, as it happens, most professional kitchens often use no more than four to five knives. The chefs regard and treat their favourites as good old friends who have proven themselves many times and will keep doing so for many more. A chef from Paris classifies exactly five knives as essential for the European cooking tradition: one of them is the so-called "couteau d'office", used for peeling thick-skinned vegetables and permorming small cuts. In English-speaking countries, it is usually known as "paring knife", but the literal translation from French, i.e. "office knife" is also quite widespread, which can lead to some misunderstandigs. In reality, such knives have nothing to do with offices - their name derives from the French word for a servery. The "filet de sole", also known as fish fillet knife, helps you to make delicate cuts as well as fillet soles and other fine fish elegnatly, thanks to its bendable blade. The "eminceur", the traditional chef's knife, is usually used for chopping and cutting vegetables. When it comes to meat and ham, both the professional and the amateur reach for a "tranchelard" (lit. "bacon cutter"), the meat knife, easily recognised by its long, relatively narrow and pointy blade. The utensil that makes peeling thin-skinned vegetables a breeze is also a clearly definable type of knife in the classic French kitchen: we know it as the traditional pocket knife. 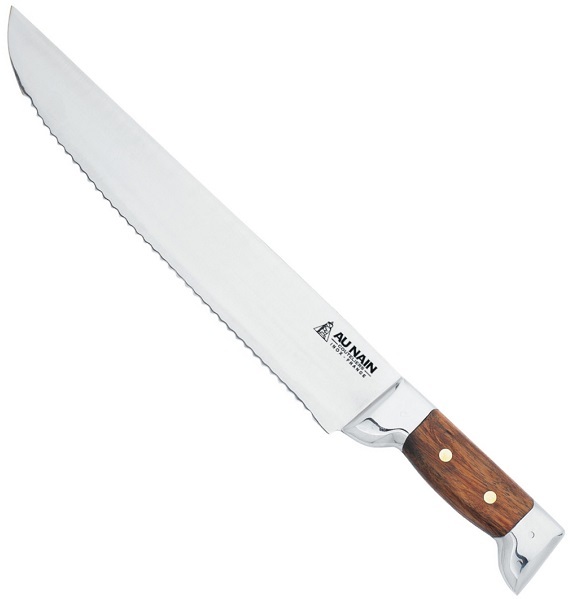 Sometimes the pros also put the carving knife with a blade as long as 30cm on the list of basic equipment. It's functional domain lies in carving big fish and meat pieces, hence the name. A completely different function is performed by the boining knife or "désosseur" with its slightly bent blade, which is designed for removing bones, sinews, and skin from meat and fowl. That's why they often cost a pretty penny. 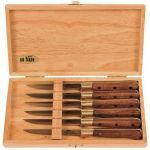 If you don't want to (or simply can't afford to) buy all the professional knives at once, you should begin with a classic high-qality kitchen knife and gradually add further 1a-grade knives from a traditional cutlery maker such as Au Nain to your collection. It's really impressive to see what an arsenal professional chefs carry with them on trips - a typical "chef's attache case" holds 25 knives. Still, most chefs take the view that it's better to have few but very high-quality knives. An expensive piece lasts longer if well-kept. The advantage of premium cutting tools is not only that they make your work easier; it's much more fun to cut your food than to crush or to saw it with a dull blade. A top-quality knife also means a certain security factor in a professional kitchen where time is of the essence. 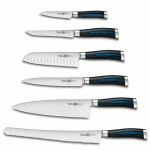 For every knife harbours a potential threat, and most wounds incurred by chefs are due to badly sharpened low-quality knives. It is thus absolutely true: an expensive knife is a better knife. 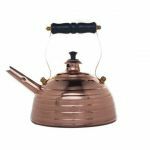 When it comes to top products like the ones from Au Nain, the majority of professionals are not interested in futuristic designs, vivid colours or handles of unusually grained wood. They place much more importance on the balance between the blade's width and length, as well as the knife's durability. The true fascination with cutting tools shows itself only once the cooking aficionado has learned, how to use them properly. The size of the knife depends on the size of the cutting material. 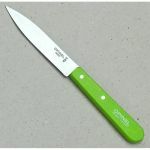 For an easy task such as "brunoise", chef talk for dicing carrots and other small vegetables, a knife the size of a carrot will suffice, making the chef's knife a perfect candidate. The long, flexible fillet knife makes easy work out of a big salmon. A beef tenderloin calls for a stiff, long blade such as the one of a meat knife. The important criterion when buying a knife is for the cutting edges to be as fine and thin as possible, since thick blades can't make precise cuts. A heavy wooden or metal handle is usually a good pick, as it ensures that the knife will nicely hold in your hand. One conviction unites the professionals and the amateurs: good handiwork requires high-quality materials. That's why many cooks trust the reliable steel form the factories of Auvergne, where Au Nain from Thiers produce their premium knives on the banks of Durolle.